Don’t miss out on the most important meal of the day! Join us at our Business Breakfast May 30, 2019. Our 3 knowledgeable speakers will be serving up information on economic growth & development in Cumberland county. Our speakers for this business breakfast forum will include CEO of Public Works Commission; David W. Trego, Chief of Police of Fayettville Police Department; Gina Hawkins, and North Carolina Legislative Representative; John Szoka. Trego joined PWC as the CFO for the electric division in 2010 with 35 years of utility industry experience. He has served as the CEO/General Manager of PWC since July 2015 and is responsible for all divisions and departments at PWC. Hawkins holds a Bachelor of Science in criminal justice from Georgia State University and a Master of Science in management from Johns Hopkins University. She is a graduate of the FBI National Academy Associates class 252 and was chosen to be delegate in the prestigious 23rd Georgia International Law Enforcement Exchange. Hawkins joined the Fayetteville Police Department in August 2017 after nearly 29 years of experience in law enforcement. Szoka, a graduate of West Point Military Academy, was first elected in 2012, and then reelected into his fourth term in the House. In House leadership, Szoka is the House Republican Conference Leader; Senior Chairman of the Finance Committee; Chairman of the Energy and Public Utilities Committee; and Chairman of the Joint Legislative Commission on Energy Policy. Make sure to join us and fuel your morning with all of this valuable information and delicious breakfast. 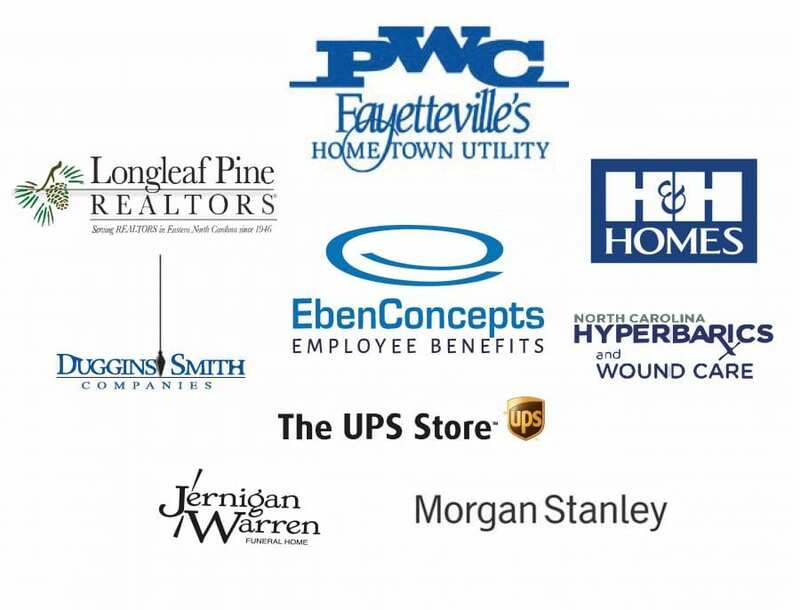 This event would not be possible without the direct support of these remarkable sponsors.